Buy Snickers with unique code, available in 35g & 51g multipacks and Fun Size packs. 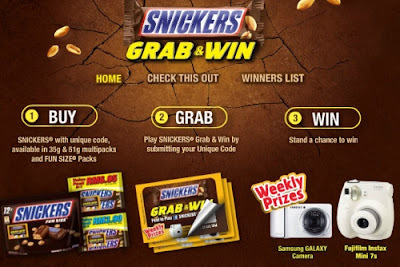 Play Snickers Grab & Win by submitting your unique code. Keep your unique code as proof of purchase. Visit Snickers Facebook fan page for more details.